After completing your post commissioning training and settling in at your first or second duty station most of us get the urge to buy a house. Buying your first home is probably one of the largest financial decisions you will make in your adult life. A home is not only a place to live, but can be an investment and when done properly can provide you with some security. 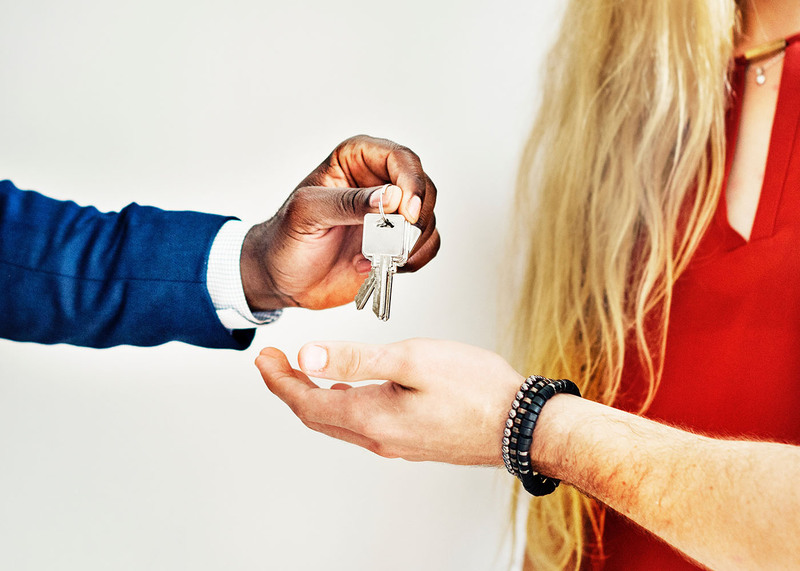 However, there are many steps that you will need to take to complete your home buying journey, and there are many missteps that commonly occur with first-time home buyers. Check out the four most common mistakes that first-time home buyers make that can lead to problems. I don't think too many military officers will make this mistake as we're all well aware of the fact that we can buy a house with a VA loan and put down zero percent. But what if you don't want to use your VA loan benefit? Do you have to put 20% down? Not necessarily. The reason that you will hear the common 20 percent down rule is that this is typically the amount you will need to put down on your home to avoid paying private mortgage insurance (PMI). There are multiple types of loans that will allow you to put less down on your home as long as you are willing to pay a monthly PMI cost to protect the lender in the event of a default. Beyond VA loans there are some loans will allow you to put as low as three percent down, which can preserve cash to make improvements, pay down high-interest debt, or grow in your retirement account. Your credit score plays a critical role in getting approved for a mortgage and also securing the lowest rate you can. Many first-time buyers make the mistake of cleaning up their credit in order to get pre-approval and then open new lines or rack up existing lines shortly after getting pre-approved. Whether this is to get on top of bills or buy new furniture or improvements for your new home, it can cause problems when it comes time to close on your home. Even if you are pre-approved, your lender will pull your credit report shortly before closing to make sure that your financial picture is the same. Opening and closing accounts, taking out new loans, or running up credit, can lead to score drops, which can jeopardize your loan processing. When determining whether or not you can afford a specific home, many first-time home buyers will look at the monthly mortgage cost, cost of homeowner's insurance, and the property taxes that they will be responsible for paying. What many first-time homeowners fail to take into account is how much the home they choose will cost them on maintenance and repairs and utility costs. These unrealized expenses can lead to costs that exceed what you may have originally expected. With the excitement of getting ready to purchase your new home, you may start shopping before you have secured pre-approval for a mortgage. This can be problematic as you may become emotionally attached to a property before you even know if you can afford it. You also could find the perfect house, but need additional time to get your finances up to where they need to be in order to secure a loan, which can result in losing the house you chose. By getting pre-qualified for a loan before you start shopping, you will know exactly what you are approved for, will be able to address any issues with your finances or credit that need clearing up, and will make the process smoother when you find the house you are looking for. And don't assume that the loan the bank approves you for is the right loan amount. In essence, the banks have determined the point where enough home owners will endure the pain of the mortgage and continue to make payments so that the bank remains profitable. Banks will generally allow a loan payment that is 28% of your gross income. I like 20% a lot better. Don't let the common first-time home buyer mistakes listed above lead to problems with your start at home ownership. Being prepared and avoiding common pitfalls can give you the best chance of having a successful home buying experience.